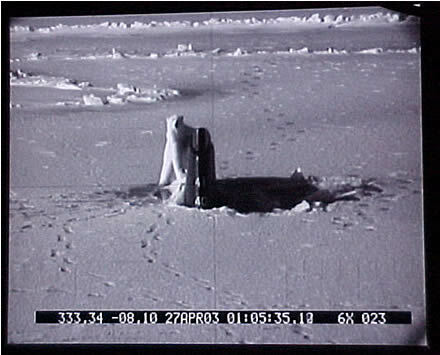 In April 2003, USS Connecticut (SSN-22), a Seawolf-class submarine, surfaced through the Arctic ice and came under attack by a polar bear, which gnawed on her rudder for a while before disengaging. Submariners have seen polar bears in the past, but this is one of the few times that the bear saw the sub first, and apparently mistook it for the world's largest chunk of bear food. 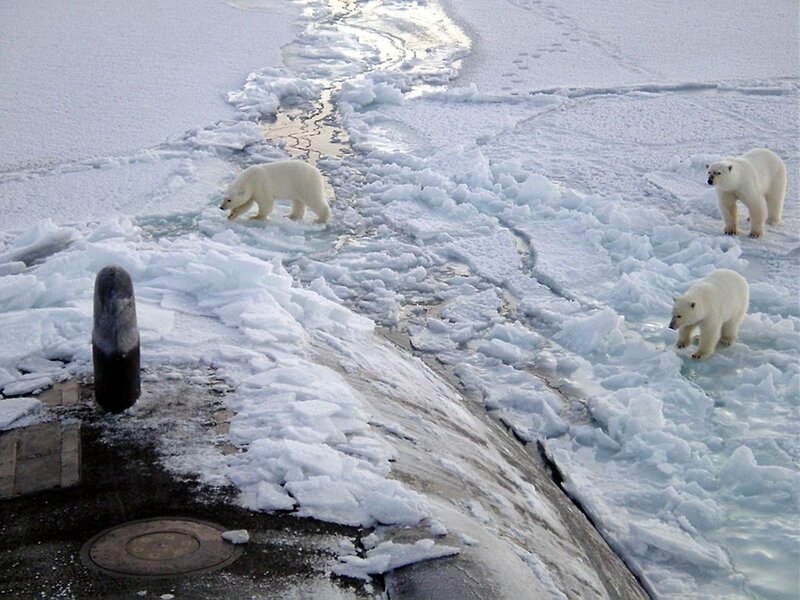 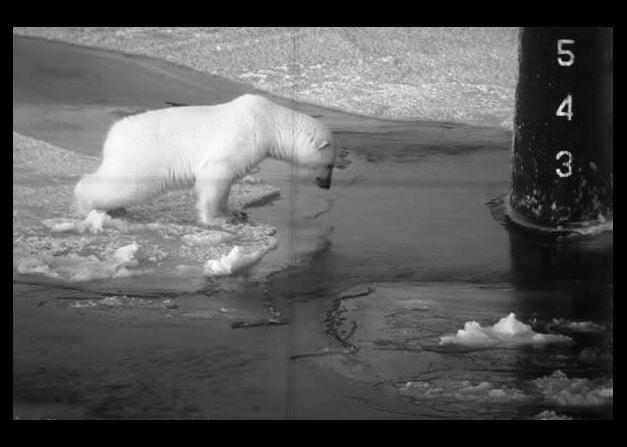 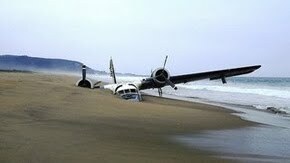 In october 2003, USS Honolulu SSN718 (a Los Angeles class attack sub) spotted some bears when she surfaced in the Arctic Circle.